ADATA Premier Series - Features Affordable Solutions with Outstanding C/P Ratio Performance. The Premier Series 1600 Mbps DDR3 204-Pin (SO-DIMM) are standard pin design modules operating at 1.5 volts, with transmission bandwidth up to 12.8 Gb/second (PC3 12800). 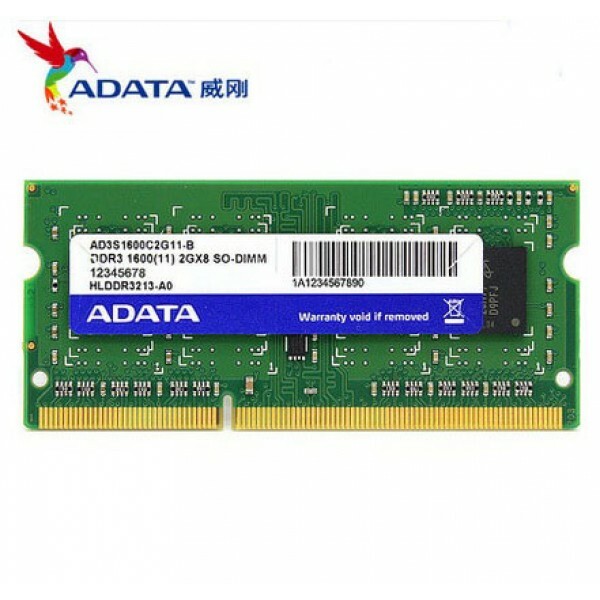 The memory modules implement cutting edge technology that enables remarkable memory density on a single module. All the modules are in accordance with JEDEC (Joint Electron Device Engineering Council, JEDEC Solid State Technology Association) and RoHS design and production standards, simultaneously ensuring compatibility with all the computer systems adopting the same standard and ecologically sound product.